After the introduction and later shameful prohibition of the fast full body racing suits, a new groundbreaking technological advancement was approved by the world swimming governing body, FINA. This time it has nothing to do with a swim suit fabric or swim equipment, but the good old medical field. Amidst the ever growing popularity of cosmetic surgery and the huge potentials of human cloning research, the Canadian swimming science researchers have came up with a new efficient way to add extra membrane like skin in between swimmers’ fingers on hands and feet. 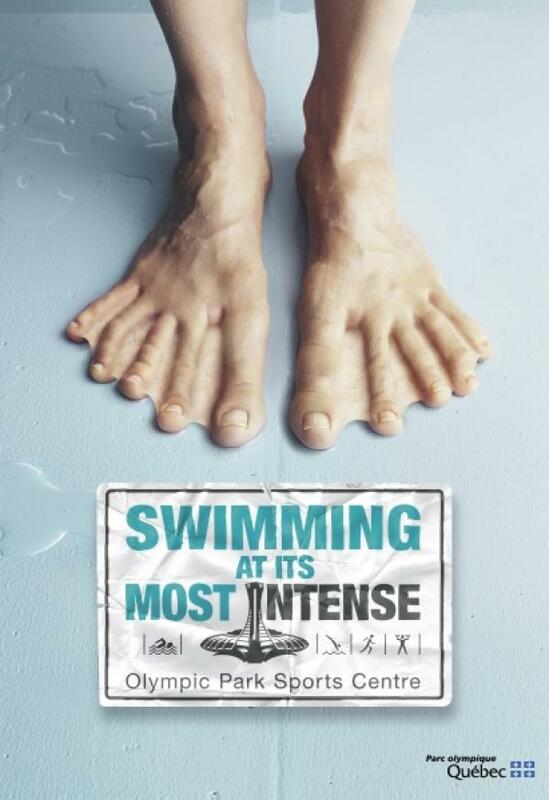 We all know the ever so popular swim gear which is used in practices to strengthen swimming muscles such as paddles and fins, so it does not come as a big surprise that the term webbed hands and feet came into reality this year. By introducing small flaps of skin between swimmer's fingers and toes, we are in turn enlarging the area of the surface that acts as propulsion mechanism during swimming (the catch and the kick). According to the Canadian swimming institute in Quebec, the procedure of the skin grafting takes only a few hours and the swimmer is ready to test the new propulsion surface in the water in about 4 weeks. The scientists also revealed that they have been testing this technology for some time now and already have a handful of candidates from the Canadian and Australian national teams who will undergo the webbed hand and foot alteration early this summer. The swimming federation refused to comment on who these swimmers are at this time. Perhaps a secrete weapon for the 2010 Olympics in London next year. Isn’t it just incredible, what our science and technology can do these days? Now, before you go all disgusted and ballistic about this new swimmer body enhancement, listen to the reasons why such a medical body alteration was approved by the swimming federation and why it could be a good direction for the sport of swimming. It is no secret that in swimming, your body composition and size makes a huge difference due to the extra drag forces that act on swimmer’s body during swimming. So, in order to make the swimming competition less bias to genetic advantages of certain swimmers, the world swimming federation has approved a standard in which a swimmer with a smaller than standard hand or foot size can artificially increase his/hers surface area up to a certain dimensions. So if this standard holds, swimmers with pure skill will be winning races as everyone will have the same predisposition for success. Furthermore, after the speculations that post full body suit era will see very limited amount of world records broken as the body is no longer forced to be streamlined by the body suit, the business interest in swimming as a sport is declining, so a new technological hype needs to be made to keep swimming interesting for people to watch. This new webbed hand and feet technology could bring the breath of fresh air into the world of swimming, so a huge marketing efforts are underway to make sure the 2012 Olympic year is successful for the sport of swimming. I am really looking forward to the upcoming 2012 Olympics in London as the field of swimmers will be much more even with such standardization and even the genetically less fortunate swimmers will have a chance against swimmers with extra large shoe size. Don’t be alarmed if such medical enhancements will be a as common as water in many of our other sports in the future years. No matter how much we try to fight the technological advancements, be it based on our moral grounds or just on plain business decision, we cannot win. Technology will always find its way out of the darkness, so let's just embrace it and see what happens instead of fighting a lost cause. Have a great April fool’s day :).